Howdy. This is the first part of my new article series on puzzle design for RPGs. The goal of this series is to encourage critical thought about puzzle design as well as provide inspiration and motivation for the puzzles in your RPGs. Today, we are going to look at a few core types of puzzles that are often found in RPGs. These might not be the only types of puzzles that can be in a game, but these are broad categories that cover a wide variety of puzzles, and this article will serve as a starting point for a more in-depth look at puzzle design. The first type of puzzle that I want to look at is the environmental puzzle. These are the puzzles that require the player to make use of his surroundings. The player enters a new room or area, and is greeted by a challenge. More importantly, the area contains the tools that the player needs in order to solve that challenge. In order to solve an environmental puzzle, the player needs to interact with his surroundings. The simplest example of an environmental puzzle is a maze—the environment itself becomes the puzzle. But mazes are kind of boring; the next good example would be the classic push-block puzzle. Imagine this scenario: the player walks into a room and sees a bunch of objects blocking his path. The only way for him to progress is to move those objects out of his way. This is fairly straightforward, but the player does not need to use anything that he has acquired outside of that area (other than, maybe, knowledge that he has learned over the course of the game so far). 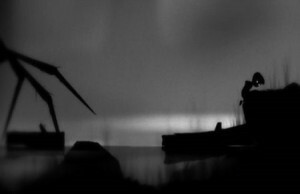 Limbo has fairly straightforward gameplay and minimal controls, but the environmental challenges provide depth. Let’s imagine a more complex environmental puzzle. The player finds himself in an area where he needs to push around some blocks to fall to the floor below. When he goes back down to the floor, he realizes that the blocks aren’t of much use to him where they are, even though he can move them around. After some exploring, he discovers a switch that floods the room with water, which causes the blocks to float. He might have to turn off the switch and drain the room, re-position the blocks into a bridge, and then flood it again. Then, he can cross the water and reach the door at the end. Puzzles like that have multiple steps to them, but still the player’s actions all involve making use of what the environment provides for him. He doesn’t need to bring in outside items or mechanics in order to solve the challenge. Note that the environmental objects don’t need to inanimate. It’s entirely possible that a character or enemy can be an element in an environmental puzzle. For example, a puzzle might require the player to lure a monster onto a switch. I would still call that an environmental puzzle because the monster is a part of the environment to be manipulated. Unlike environmental puzzles, inventory puzzles require a player to bring items into a challenge. In order to progress, the player must have acquired an item that allows him to complete the puzzle. While these items can come from the current area, often the best inventory puzzles force the player to think back on his journey and dig through his pockets for the perfect answer. In order to solve an inventory puzzle, the player needs to have previously obtained a specific item or items. The simplest example of the inventory puzzle is a locked door or chest that requires the player to have a key. In some games, the player would need to select that key from his item list. In others, the door/chest would automatically see that the player has the key and become unlocked. Either way, the idea is the same—although these types of interactions don’t feel much like true puzzles. 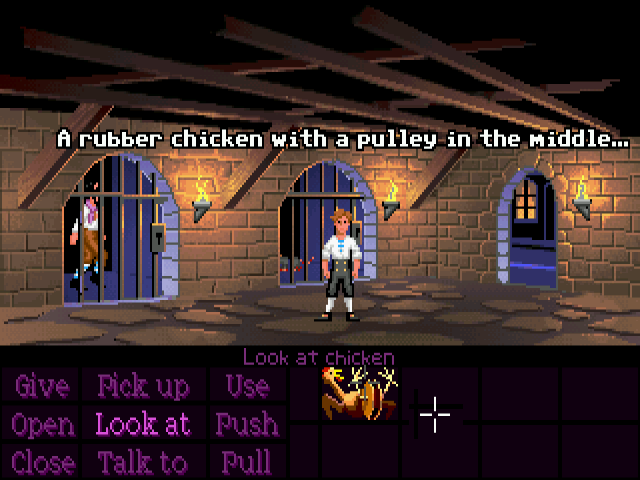 The gameplay of The Secret of Monkey Island, and other adventure games, revolves around the player’s inventory list. Some inventory puzzles can be a little complicated, but by their very nature they tend to pretty straightforward. It’s difficult in RPGs to create an inventory puzzle that provides real challenge to the player, so often these types of puzzles are relegated to side quests or trading sequences. Some games will make use of a crafting system which allows players to create new items from collectibles. Other games will take an approach more like classic adventure games, where inventory items will be key to completing puzzles. On some level, every puzzle is a mechanic puzzle. After all, everything that you do in a game is technically based around a gameplay mechanic of some sort. For the sake of this article, I’m talking about unique mechanics that aren’t found in every game, but are specific to yours. In order to solve a mechanic puzzle, the player must utilize one or more game mechanics to manipulate puzzle elements. That definition is pretty broad—and there’s a reason for that. A game can have a variety of unique mechanics or abilities, and that leads to the potential for diverse and memorable puzzles. The simplest example of a mechanical puzzle is talking to an NPC. When you boil down an RPG to its bare minimum, the default mechanic is the message box that shows dialogue. This example seems like a cop-out—and it is. The thing with mechanic puzzles is that they are different for every game, for every mechanic. There can be a tremendous amount of depth and variety to mechanics-based puzzles, and I encourage RPG developers to incorporate unique gameplay mechanics—ones that puzzles can be developed around— into their games. 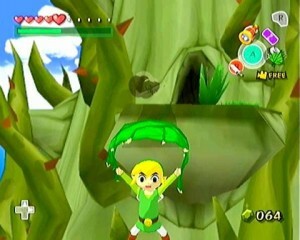 The puzzles in the Legend of Zelda series encourage the player to utilize Link’s wide variety of gadgets. Here’s an example from an old project of mine. For the most part, the game plays like a traditional RPG maker game. However, there is a central mechanic where the player is able to turn invisible. While the player is invisible, other objects can pass through him (okay, so it’s more than just invisibility). When the mechanic is introduced, it is used primarily to spy on other characters or hide from enemies. As the game goes on, the mechanic is woven into puzzles. The obvious example is when the player needs to pass through an object that is blocking his way—but the player cannot move while invisible. So he needs to activate a conveyor belt which will allow him to pass through an object while he is invisible. A puzzle like this utilizes elements of the environment, but wouldn’t be possible without the invisibility mechanic. In other words, the player always (or almost always) has control over an ability that gives him more ways in which to interact with the game world. Each of these types has a place, but I caution against cramming each one into your game without putting thought into how each one is used. Some games can make good use of all of these types, but in others a sudden unexpected challenge can provide a disconnect for the player. If you train your player to solve problems in a specific way, introducing a different kind of solution can be jarring. I’m not saying that you can’t have an inventory puzzle in a game that primarily uses environmental puzzles, but that a new type of challenge needs to be introduced to the player in a way that feels natural. Maximize the overlap between these types of puzzles, and avoid putting the player in situations that force him to forget the skills that he has developed so far. Think about the theme of your game, in terms of gameplay. How do you want the game to feel? How does your game want to feel? How should the player approach the game and the world that you have created? Each of these types of puzzles— and combinations of these types— contribute to the mechanical tone of your game. When designing a puzzle or challenge for your game, think about how it fits into one or more of these types, and how to best incorporate that puzzle into the larger tone of the game itself. No matter how much effort you put into any single puzzle, think about the overall experience and how well that puzzle fits into the game as a whole.